319 p., 14,7 x 20,8 cm. The significance of the Holocaust for those not directly affected was the subject of the fifth Conference of the Sigmund Freud Center at the Hebrew University in Jerusalem. The exchange of ideas had a special character due to the participation of both Israeli and German psychoanalysts. 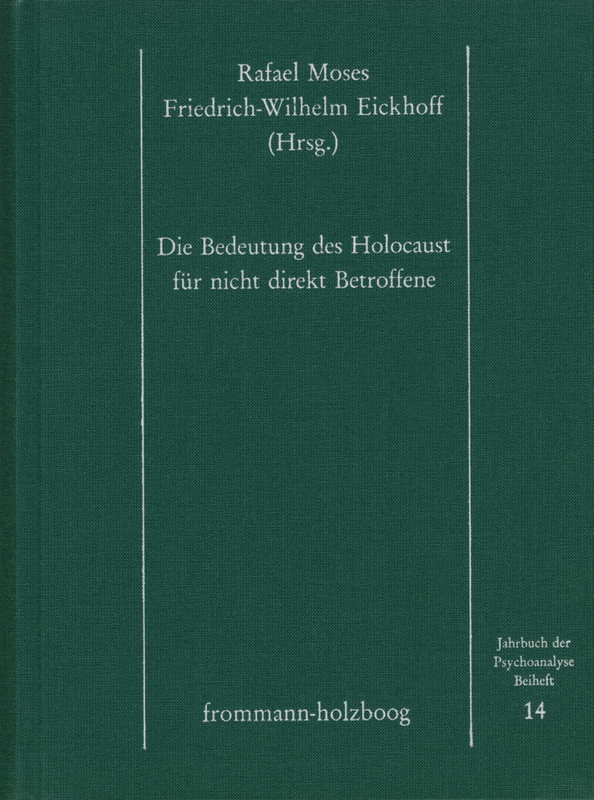 Their observations reflect the significance of the Holocaust in diverse and sometimes strained perspectives.